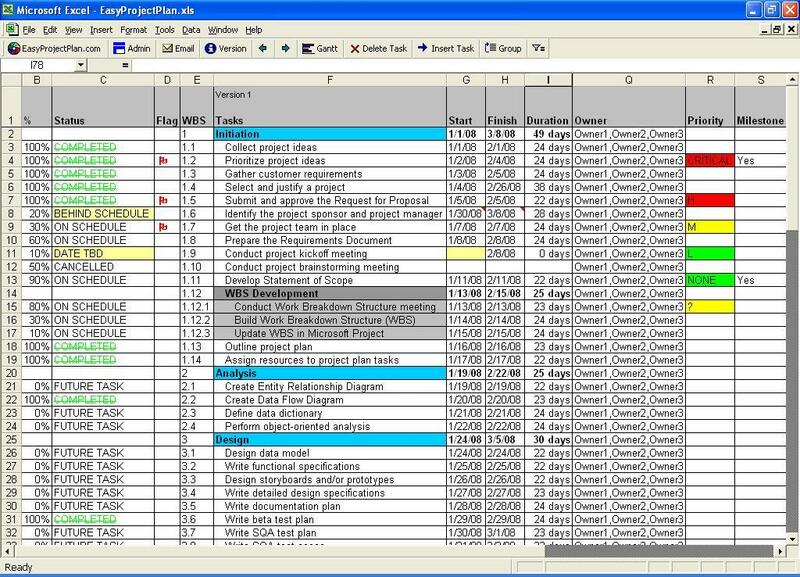 - Easy-to-use Excel project plan. - Synchronize tasks with Microsoft Project and Outlook. - Create and Print Gantt Charts using Excel. - No installation program required. - Implement in any company IMMEDIATELY. - Distribute to anyone using Excel. - Easy-to-use Excel project plan. - Synchronize tasks with Microsoft Project and Outlook. - Create and Print Gantt Charts using Excel. - No installation program required. - Implement in any company IMMEDIATELY. - Distribute to anyone using Excel. - Compatible with all versions of Excel. A modern and extremely easy-in-use project plan system. Funding Plan PRO for Excel best Suites planner for next 10 years projection. Qweas is providing links to EasyProjectPlan Excel Project Plan Gantt 14.1 as a courtesy, and makes no representations regarding EasyProjectPlan Excel Project Plan Gantt or any other applications or any information related thereto. Any questions, complaints or claims regarding this application EasyProjectPlan Excel Project Plan Gantt 14.1 must be directed to the appropriate software vendor. You may click the publisher link of EasyProjectPlan Excel Project Plan Gantt on the top of this page to get more details about the vendor.